We are continuing to hold you in our thoughts each and every day. We are always so anxious to get your next update as we are always wondering how things are going for you guys. Wow….Those are wise words from such a little guy! Your faith and outlook is making such a big and positive impact on your sons. We hope you and Karen will start to feel better soon for the weekend. We love you guys. LOVE SURROUNDS YOU AND YOUR FAMILY EVERY DAY AND THE LORD IS ALWAYS THERE BRING WHAT YOU NEED TODAY! YOUR INCREDIBLE MOTHER IN LAW THE BLESSINGS THAT SURROUND YOU ARE AMAZING!! THE PEOPLE OUT HERE LOVING AND PRAYING EACH AND EVERYDAY FOR YOU ARE YOUR OWN PERSONAL WARRIORS! WE ARE ALWAYS HERE!1 JUST KEEP REACHING OUT AND THERE NEVER WILL BE A TIME THAT YOU ARE ALONE IN ALL OF THIS BATTLE!! NEVER!!! hi, chris! 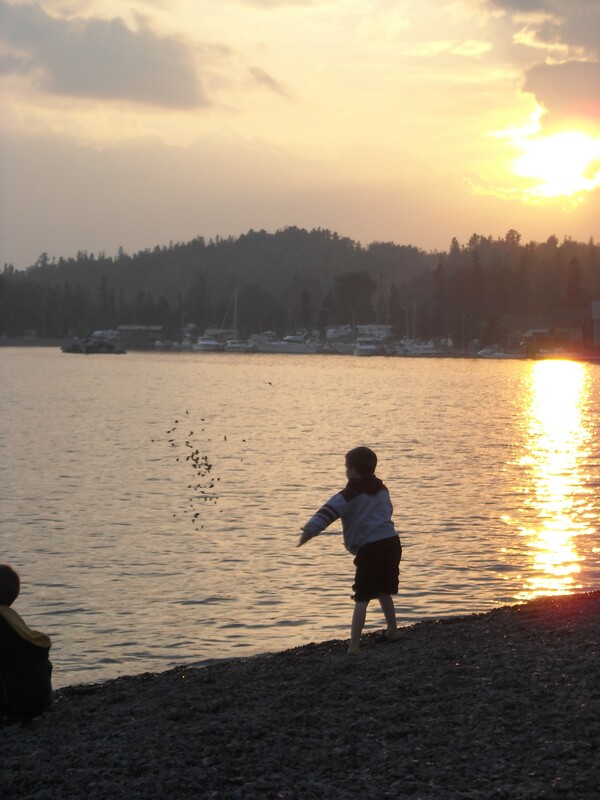 i love those lake superior shots:) you and your family are always in my prayers. The congregation at Bethany United Methodist in Madison is praying for you too. Chris and Karen – we think of you often and have kept you all in our prayers over the last several months. You have amazing strength Chris and are a man to be admired in many ways. Just wanted to send you a birthday wish. I hope all things are going well. Hope your day was a well rested one. God bless to you and your family. For months I have had this name in my head and I didn’t know why, now I do. And I thought of you again yesterday when I wrote the date, CB 10/4 , I remember every year and chuckle it’s Chris’ Birthday! I hope that you had a wonderful day. I see that you have a very strong prayer chain and I will be adding my name to it, you will be in my prayers daily. Wow – your constantly upbeat and prayerful entries are a source of wonder and encouragement for me, and I’m not undergoing even half of what you are! You amaze me. We pray for you every night.